You may be aware of the title of this blog entry is a reference to a series of advertisements for Mexican beer, Dos Equis. 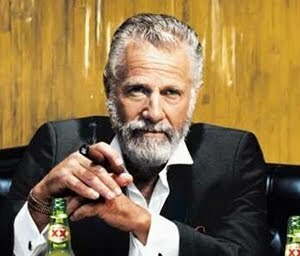 The beer, I particular like, but the ads are pretty funny and over the top, extolling the accomplishment of the “most interesting man in the world”. This was one of the first thoughts that came to my mind, after I recently finished a copy of a new book called Seized, by ship captain Max Hardberger. Seafarers are probably presented with a disproportionate amount of opportunities for adventures. Seafaring tales and lore are the stuff of legends, throughout the world and generations. Some people though, do seem to have a particular keenest in finding some serious maritime adventure, such is Max Hardberger. He is an American, with southern roots, and holds a litany of titles, from airplane pilot, school teacher, lawyer, and naturally, with all those experiences, ship captain. In his book, Seized, he recounts the many adventures that he has experienced in the course of developing a new business model for ship repossessions, in places where business models are not learn in warm and fuzzy schools. The book has autobiographical overtones in which each chapter recounts a particular vessel he’s had to “deal with” – extract from unscrupulous “business” people. The setting for most of the stories, is primarily in the Caribbean Sea, and its many dubious hiding spots. I say, autobiographic overtones, because Capt Hardberger weaves just enough personal background into the stories, to provide depth and context we can related too. The 280 page book does not get mushy or overly introspective, but rather sticks to the task at hand, which is describing how to get a big ship out of a tight space – which he does admirably. Although the book is a fascinating read for a seasoned sailor, Capt. Hardberger does a great job at guiding the average reader as well. Maritime terms and culture is plainly explained so as not to lose the reader who may not be conversant on the subject. In particular, you get a sense about half through the book, that there is more to this book than just a telling amazing stories. There are quite a few lessons to be learned, from a ship business point of view. There is a quote I came across, some time ago, “the mafia did not want to get into shipping, because it did not want to get a bad name”, and Seized certainly illustrates some pitfalls of the business, and how this quote might be accurate. I highly recommend this book, even with my busy life I looked forward to squeezing in a chapter or two, and found myself wanting more. Overall I found it entertaining and enlightening. Although I do get a sense that, yes, the adventure is fun to recall, and have beers over, but there has been a significant cost that the Captain’s lifestyle has extolled on him, which I get the feeling he has some misgivings about, probably very understandable. 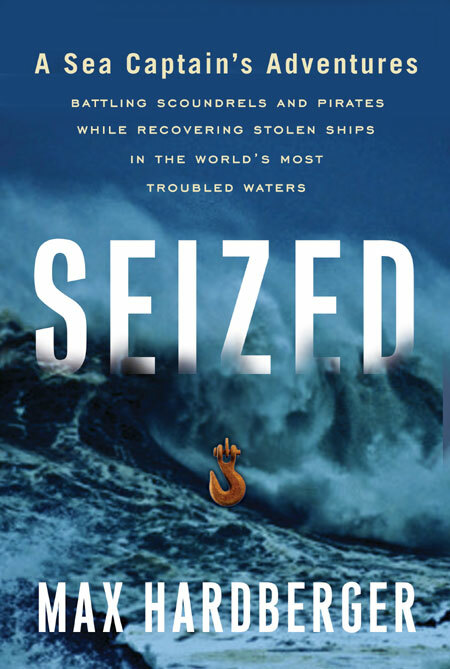 Capt Max Hardberger is working on another book, in the mean time I you can find “Seized: A Sea Captain’s Adventures Battling Scoundrels and Pirates While Recovering Stolen Ships in the World’s Most Troubled Waters” here, and, please… “stay thirsty my friends”. You can find Dos Equis’s “most interesting man in the world” commercials here. ← Oh, give it rest! Ha! Nice post, sounds like a good book.